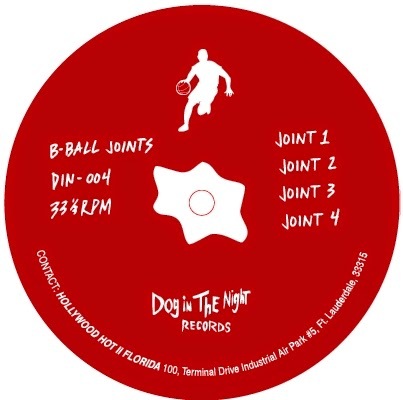 Rushing to the pitch with four inflamed tracks, this is how B-Ball Joints debuts on US-based imprint. Really no idea what is the deal with the dog and the night, but the label, so far mostly known for the acidic tools by Robert Crash, keeps putting out blasting material. The opener “Joint 1” is the fiercest affair, a mugging and noisy assault of enraged drum machine and darkcore textures for waking up the dead. Wobbly synth pulses carry a special operation called “Joint 2” while the next joint sounds like a mutilated ghetto track with delirious screaming before the session folds with brief abstraction “Joint 4. As the artist identity remains undisclosed, we can only guess if it is an L.I.E.S. affiliated maverick or somebody else who is fond of dissonant hardware jams and proto-rave ugliness.